Recently, Holly Bachman, CC Statewide Senior Director, attended the League of California Cities Annual Installation Dinner for the Los Angeles County Division that took place at the Palos Verdes Golf Club at Palos Verdes Estates. CC is a proud sponsor of LOCC. 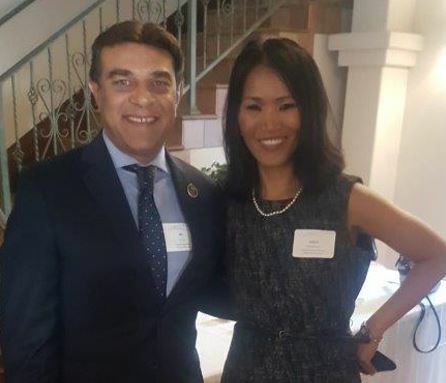 Holly is pictured with Ali Taj from the City of Artesia. - California Consulting, INC.
California Consulting invites you to join CEO Steve Samuelian, Statewide Senior Director Holly Bachman, and Director of Operations Dan Rodriguez, at Booth #939 to learn how Grant Funding can benefit your city!